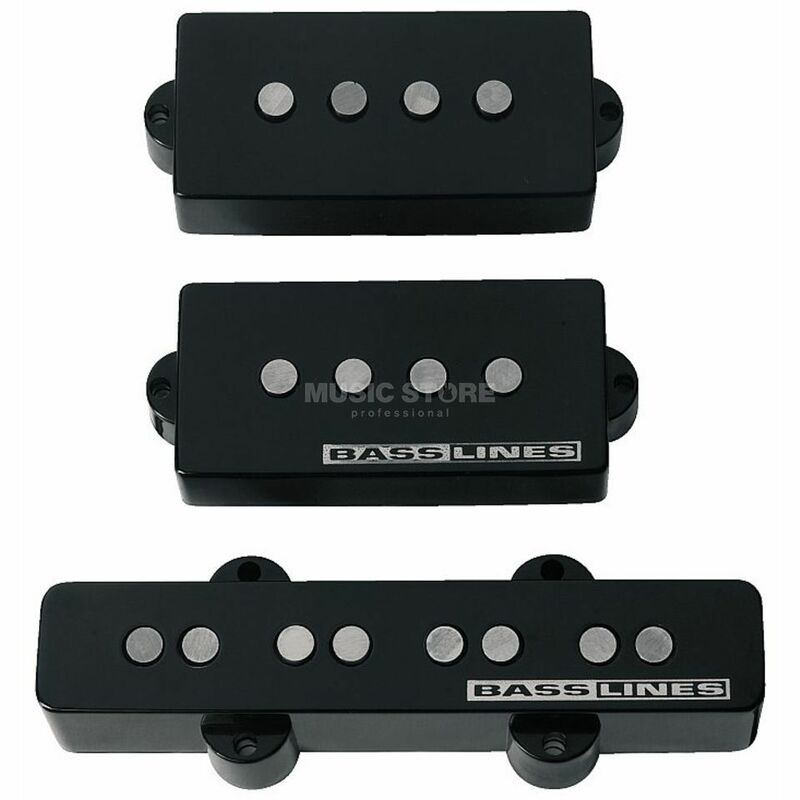 The Seymour Duncan APJ-2 Lightnin' Rods Pickup Jazz Set is a bass guitar pickup set, with an Alnico V magnet, single-coil, with 3-conductor leadwire. The APJ-2 is a matched active PJ pickup set, built to give you the combination of low end and growl of a vintage set, yet with a hotter output. The familiar low end swell of the P is paired with the tighter, more concise J to give you a full spectrum of vintage tone. They have a traditional exposed poles look, and are a drop-in replacement for basses with an American Fender sized P and J route. Perfect for the player who wants a familiar vintage tone, but needs the consistent, steady signal level of an active pickup. Hand built in Santa Barbara, CA, the Lightning Rods use ceramic magnets, and come with 3-conductor leadwire.